Multinational electronics material manufacturer N requested for BWT and VMI service from a warehouse close to their factory in Korea. 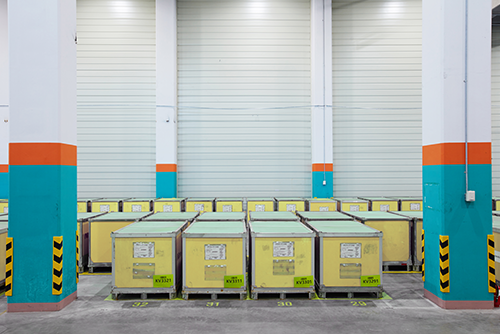 Considering their high-value goods that are very sensitive to temperature and humidity, it was vital to offer them with a storage and transportation service with isothermal-isohumidity control. 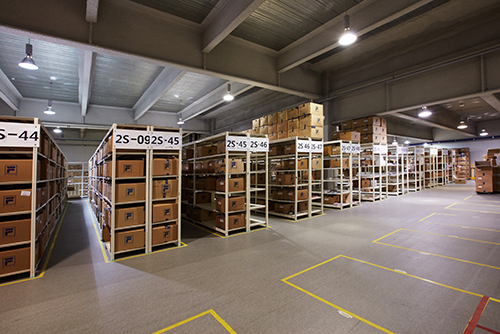 Another essential requirement was a seamless connection between ERP of the client’s overseas headquarters and WMS of Korea’s logistics center, in addition to agile and specific contingency plans. 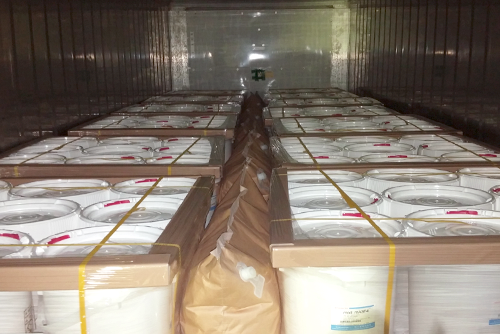 For this reason, Sunjin set up special isothermal-isohumidity control facilities and equipment in a bonded warehouse 20 minutes away from the client’s factory. 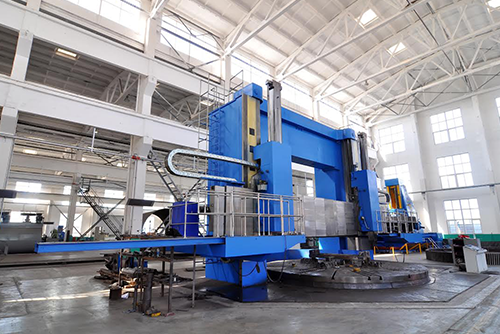 The equipment was adjusted to suit the product features and warehouse structure. Monitoring and emergency alarm systems were also installed to maintain the condition for 24 hours a day. (maintain at around 20C) To address any urgent stocking and releasing requests, a full-time team is stationed at the center and full-service isothermal vehicles are assigned. 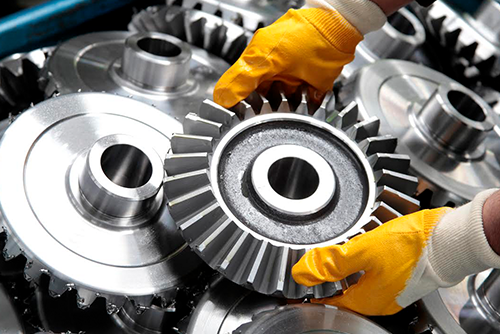 In addition, Sunjin has developed a WMS connected with client’s ERP, which enables it to provide the client with real-time inventory and stocking and releasing status. 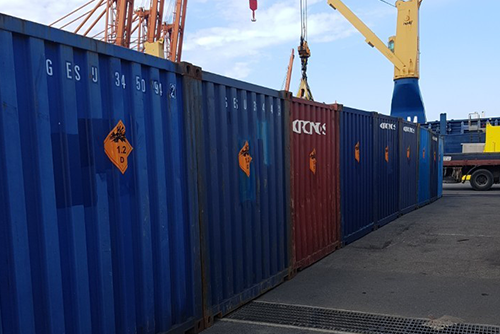 All combined, Sunjin provides one-stop vendor managed inventory service including import, VMI+BWT inventory management, customs clearance, export, and transportation. 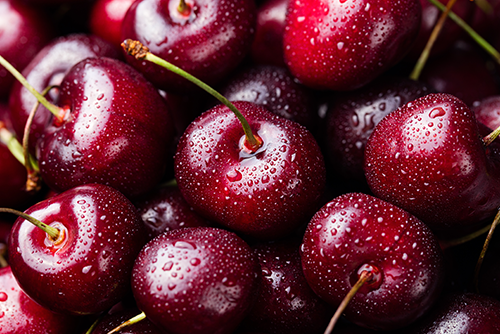 This project involves import, customs clearance, quarantine, storage, and transportation of fruits, vegetables, and medicine in large quantity for foreign army bases stationed in Korea. This requires keeping the goods fresh and delivering them on time. It requires not only maintaining the optimal temperature but also a complete understanding in strict customs and quarantine practices in compliance with SOFA, in addition to experiences and performance skills. There is also the task of maintaining steady and effective communication with foreign army bases in each region. 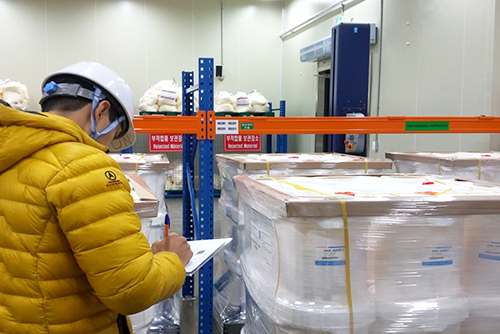 Sunjin has located offices in major regions in Korea to run on-site risk management teams and dedicated teams with various experiences in military and perishable logistics. In terms of execution, Sunjin is fully equipped with temperature control vehicles and refrigerators. Sunjin has successfully operated the service for 30 years based on SOP drawn up through continuous consultation with clients. 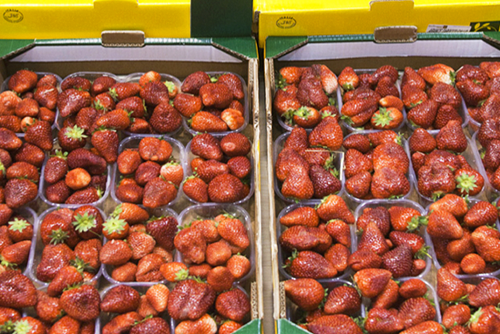 This is Sunjin’s service for transporting seasonal fruits and vegetables produced around Korea, including Gimhae, Nonsan, Jirisan Mountain, and Daegwallyeong area, to Southeast Asia, Japan, Oceania, and America. 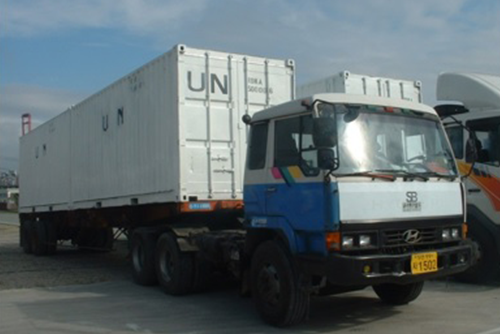 It is essential to deliver the goods on time from producing areas via direct overseas route, using refrigerator vehicles for PER and COL. For timely delivery of goods, Sunjin puts a particular emphasis on the quarantine process at Incheon Airport and quick, accurate responses to any issues arising. On the other hand, Sunjin always has contingency plans prepared in case of any malfunction or failure of refrigerator vehicles, so as to provide high-quality services to the clients. The project was for multinational pharmaceutical company A, and it was about delivering pharmaceutical materials produced in Korea, from its manufacturing plant. 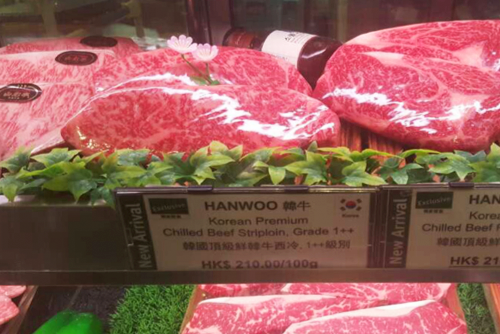 The invoice value was very high at five million dollars per TEU that many shipping companies turned down the project. For this reason, the fare had been set at a very high level. In addition, considering its temperature-sensitive quality, it was a critical requirement that the temperature strictly remains at between 4 and 6 degrees throughout the whole transportation process. 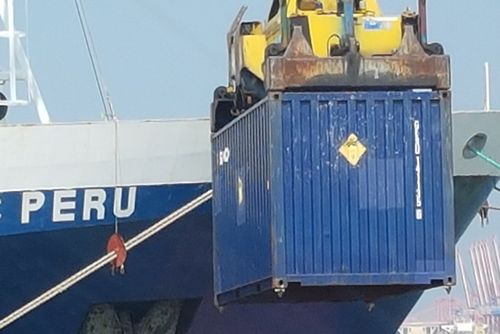 The client also required a complete SOP, contingency plans, and relevant experiences to ensure that there was no mistake throughout the whole process from container loading, domestic ground transportation, CY stowage, sea transportation, and overseas ground transportation. Sunjin paid preliminary visits to the client’s overseas headquarters and factories, resided for some time to gain full knowledge of the whole transportation process on-site. Then Sunjin came up with the most optimal SOP after consulting with a group of experts and overseas partners specialized in pharmaceuticals. To guarantee the shipping company’s request for the right to indemnity, Sunjin directly consulted with a local insurance company, not a Korean insurance company, and bought its insurance to reassure the shipping company’s concern on the project’s high risk. As the result, Sunjin was able to provide the client with a wide range of options for shipping schedule and an appropriate level of fare. 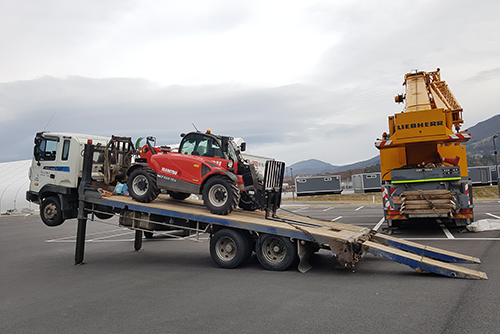 To perfectly maintain the temperature and conduct safe transportation, Sunjin’s full-time staff provides an intimate convoy service in which they oversee and accompany the whole process from container loading and domestic trucking to CY loading and shipping. The project is about import and domestic transportation of missile bodies, detonator, guided bombs, and firing charges. More than anything, this project requires a top level of knowledge, experiences, and professional workforces in handling dangerous articles, in addition to complete security, confidentiality, and compliance with relevant law. 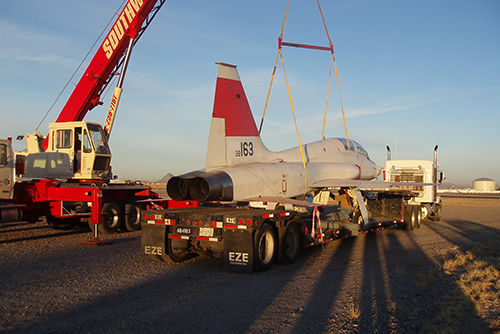 Sunjin has accumulated expertise, skills, and 20 years of experience in military logistics. The company has incorporated charter ships and airplanes to run independent transportation routes and schedules. Experts have been dispatched to all sites and stages of transportation for close monitoring, and they have provided a complete, safe, and secured transportation service. The project was about returning 00 whole combat planes to overseas, after they were retired in Korea. The task was to solve the limitations in ground transportation of whole combat planes in Korea and overseas, in addition to maintaining safety and security. 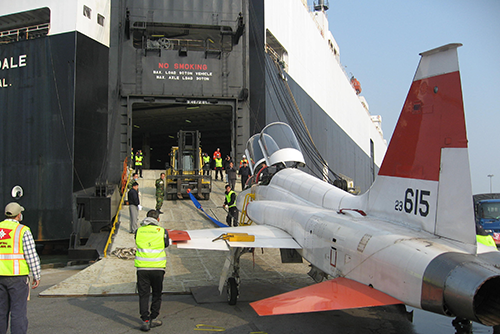 Sunjin succeeded in sea transportation of whole combat planes in large quantity by dismantling just the engines and wings and using the RORO ship. 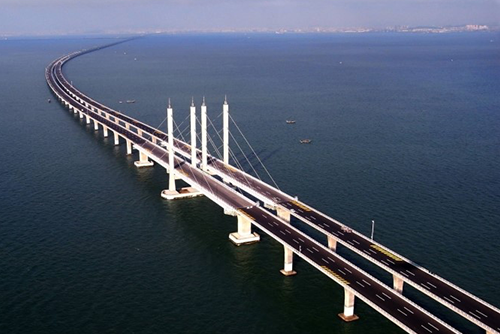 Also, it took precise reckoning of domestic and overseas road conditions and situations and traffic to successfully handle ground transportation along the 1,000km-long route. 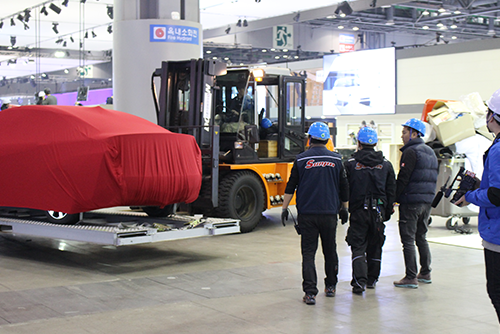 Three of Sunjin’s core staff members were involved in the whole process of domestic and overseas transportation to provide thorough convoy service with guaranteed safety and security. 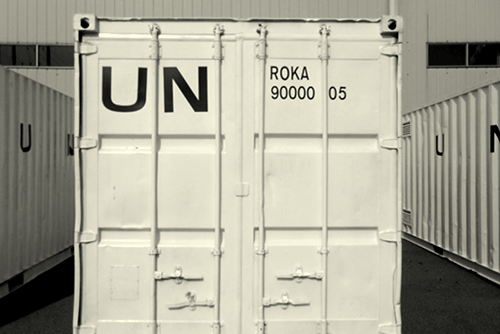 This project is about transporting military goods such as foods, medicine, maintenance materials, and dangerous articles for UN Forces stationed in conflict areas including Africa and Southwest Asia. Security and confidentiality are vital terms in the project, not to mention the importance of compliance with safety rules and timely delivery of goods, considering the nature of military projects. 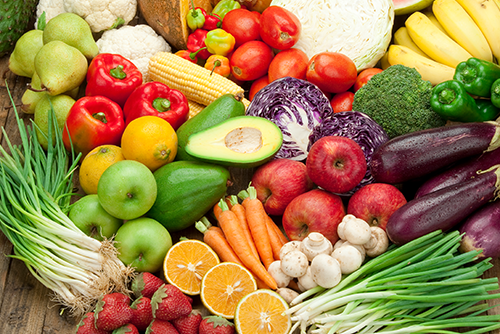 In case of foods, the most important key is to thoroughly manage the temperature to keep their freshness. Most of the UN Force stations are located in remote areas that it is very difficult to meet all the criteria mentioned, but Sunjin has been successful thanks to its expansive know-how and experiences. Sunjin has also made contributions to the Olympics, a worldwide festival. Thanks to its experience and skills accumulated from participating in several Asian Games, Sunjin took charge of import, transportation, storage, management, and installations of broadcasting equipment and sports games goods during the 2018 PyeongChang Winter Olympics. In broadcasting equipment logistics, the most important part is to pack according to the equipment type and place each in the right place at the right time through close cooperation with on-site staff. More than anything, it is important to incorporate an organic network with overseas partners to provide real-time response to demands of various clients from home and abroad. Sunjin takes pride for making contribution to the successful hosting and organization of the PyeongChang Olympics through full mobilization of its overseas network while staying in the Pyeongchang area for three months. CES is the world’s biggest consumer electronics convention where numerous global brands and Korea’s innovative companies gather to introduce and demonstrate their best, up-to-date products. Therefore, it is essential that various companies’ products are handled with care for timely transportation, placement, and return. 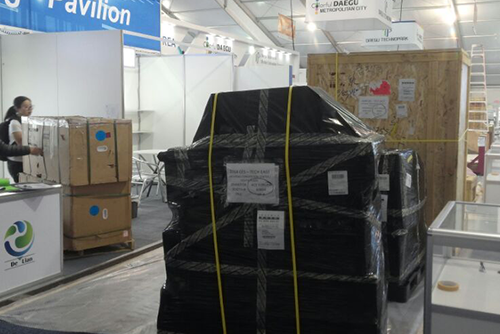 Sunjin runs a CES-exclusive team to provide one-stop service which controls the whole process from pick-up, special packing, customs clearance, shipping, unpacking, installation, and return. 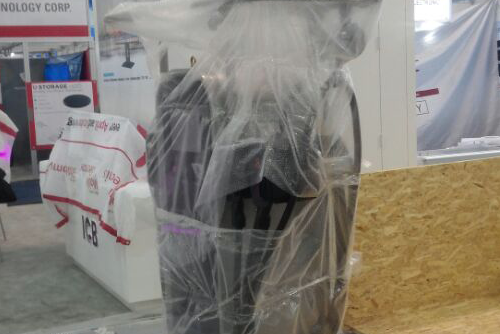 One thing about the motor show is that the exhibiting items must remain in complete security before presenting at the exhibition. Also, the project requires a complete control and operation, from complete packing and safe transportation to returning the items in a fresh condition so as not to leave the smallest mark on them. 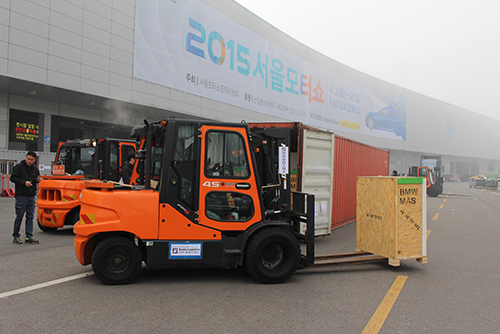 Having gained experiences at the Seoul Motor Show, Busan International Motor Show, and various overseas motor shows, Sunjin’s motor show-exclusive team offers a world-class service from its know-how in maintaining security, safe loading and unloading, and special packing, which enable them to return the items as they were when they were first picked up. 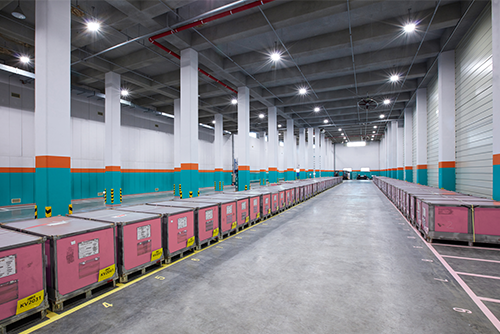 Sunjin is in full charge of domestic B2B and B2C logistics of global sports brand F. Sunjin continues to innovate the field of client logistics as it handles a high quantity of inventory, perhaps the highest in the industry, at an exclusive 50,000m² warehouse. 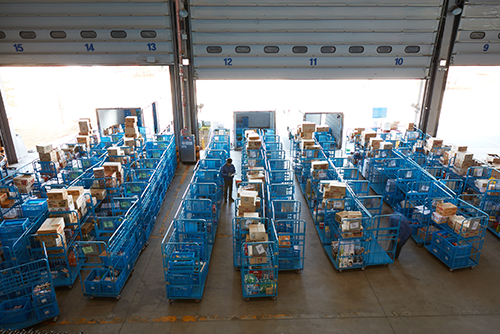 The company continues to develop its own IT know-how in warehousing and distribution, such as its own WMS connected with the client’s ERP, while it strives to strengthen its capacity in B2C and wholesales logistics and develop logistics services that keep up with the industry trend. 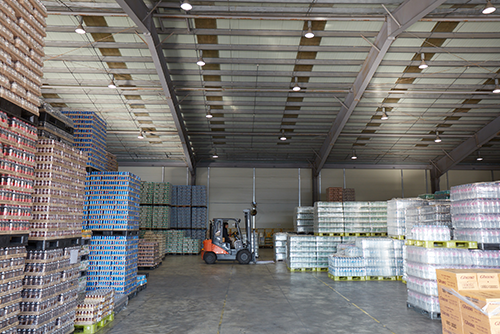 Logistics for convenience franchises may be one of the most difficult warehousing and distribution solutions, as it involves goods order for thousands of branches every morning, inventory management, stocking and releasing, processing for distribution, transportation and delivery, all on a daily basis, while providing real-time logistics data to the client. Also, the project requires handling of all items supplied to stores, including not only room temperature items but also cold and frozen food and items in the list. 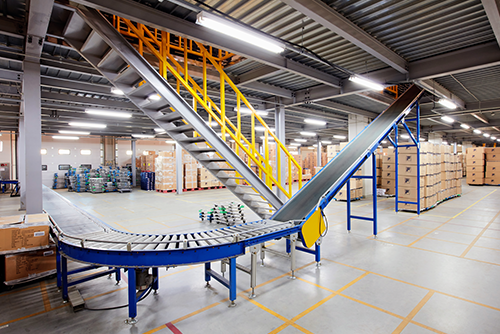 Particularly difficult part is the handling of SKU products as they must be delivered to each store on time after proper pick-up, packing, and processing. Sunjin provides one-stop services including goods order, storage, and inventory management to Korea’s leading convenience store franchises, such as G, M, and E brands, along with Korea’s biggest hypermarket franchises such as S, E, and L brands. The company has maintained the highest level of KPI in all aspects, while offering stable and highly satisfactory services to the clients. 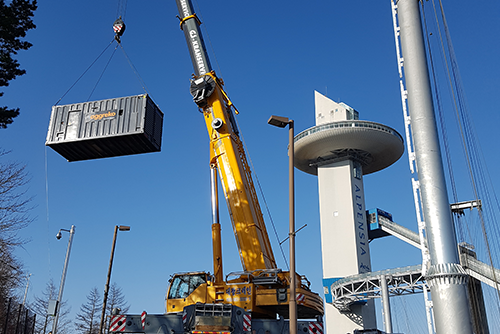 The project was about transporting a large quantity of core apparatus and equipment to construction sites in Saudi Arabia and Kuwait for Korea’s D company with world-class technologies in bridge and road construction. 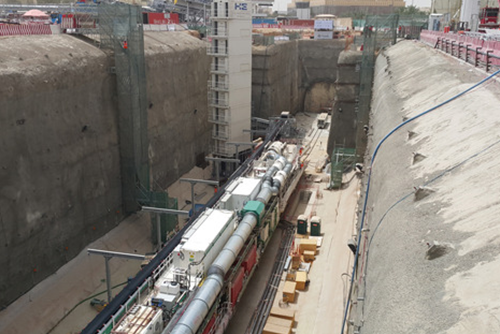 The most important premise of the project was timely transportation which meets the construction period. Through close cooperation with production managers, Sunjin first reviewed the features of the products. Then it played the role of the control tower in charge of the first and second packing, export documents preparation, production scheduling, releasing, and domestic and overseas transportation. Having successfully taken control in the project, Sunjin is now capable of smoothly handling a huge quantity of 6,000 TEU. Korea’s high-tech material producer company I commissioned a project of relocating a whole plant based in France to Korea in order to enhance its domestic production capacity. Sunjin dispatched a team of experts to the plant in France to conduct thorough review and planning with the local plant team. Then the company set up complete plans for the whole transportation process, starting from local packing, ground transportation and shipping, and inland transportation after landing. Sunjin was able to achieve timely delivery without a single error thanks to its meticulous preliminary planning. 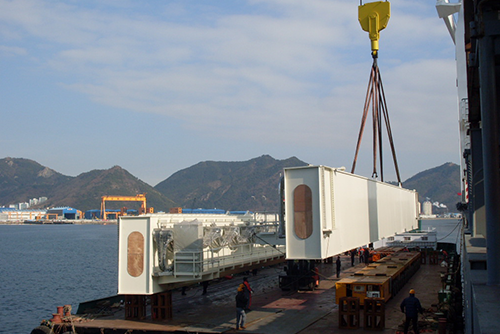 Korea Hydro & Nuclear Power Co. Ltd. commissioned a transportation project for apparatus in a Korean nuclear power plant, which required a strict compliance with complicated regulations and process for delivering radioactive articles. It was a prerequisite to have not only expertise but also a meticulous technical review and thorough preparation before taking action. 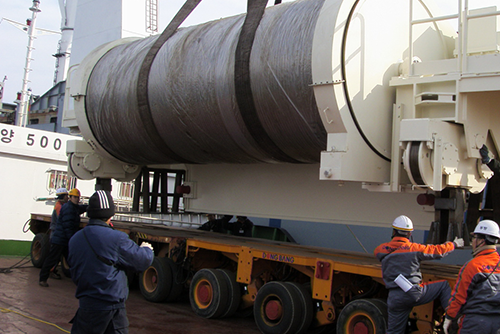 After winning the forwarder contract for nuclear facility apparatus transportation, Sunjin worked for five years, successfully handling the whole process of nuclear apparatus logistics including overseas transportation and cargo handling, ultimately securing a strong foothold as a global project professional.